Darling Kitty in Crochet Filet! 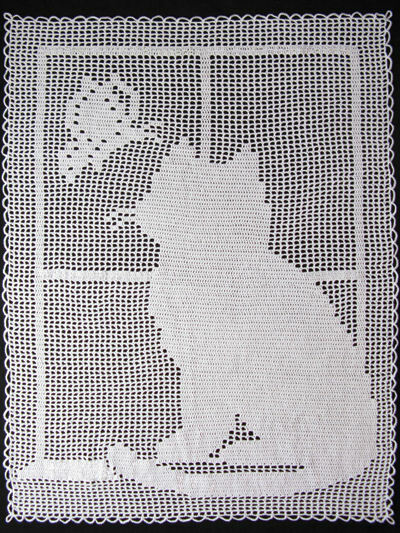 Crochet this stunning filet afghan depicting a curious kitty sitting on a windowsill, gazing out at a butterfly fluttering by.Pattern includes easy-to-read graph and instructions. Quick and easy to crochet, using worsted weight yarn. Size: 54" x 69".